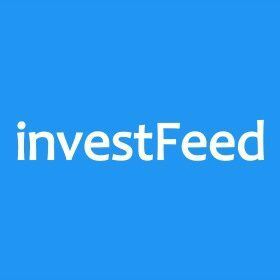 investFeed is a social platform where investors share their ideas and interactive with each other. As the name implies, the app provides a feed of users posting their opinions. The platform functions similarly to Twitter. investFeed’s app is currently focused on stocks, but the company will shift its focus to cryptocurrency. In the app, users can integrate their stock holdings in various brokerage accounts, so they can track their portfolio in one place. Every feature in the investFeed platform that gives any added value to its user will require payment using IFT. Every user who facilitates the use of a feature which in turn gives added value, will be entitled to receive IFT. Members can contribute premium content and charge in IFT for access. Promote your own content and profile for network exposure using IFT. Experienced investors and analysts can monetize their knowledge and expertise by sharing their content with their subscribers. IFT fee be will determined by the content provider. Users can follow top traders and analysts and news outlets and receive real time alerts from those members using IFT. IFT will be required to access the higher levels of advanced trader tools. IFT can be used to purchase an ad-free experience from the network. investFeed has a team of 5. The 3 co-founders (CEO, COO, and CTO) have been working together since 2014. Ronald Chernesky, CEO – prior to starting investFeed, he worked as the Head of US Equities Trading at World Trade Financial Group, and Senior Equity Trader at Avatar Securities. Andrew Freedman, Co-founder and CTO – prior to starting investFeed, he worked as an IT Consultant at Midpoint Solutions and Developer at WTS Proprietary Trading Group. The team is proven to be able to provide a functioning app. Network effect is present for the platform. The more usage the platform has, the more valuable the tokens should be. The addressable market size is large. If the company pivots successfully and is able to grab a significant market share, the potential is very large. As at July 17 or 5 days before the crowdsale, there was a very inactive social media presence relating to the ICO – Slack has 61 people, Reddit has 8 subscribers, Bitcointalk’s thread is 2 page long with most of the posts from investFeed and one other promoter. This is iconic for a company in the social media business. It is also strange given they have a massive Twitter following of over 137,000.
investFeed declined to disclose how popular their app is in terms of daily / monthly active user so I checked how popular the app is from other sources. According to App Annie, the iOS App investFeed achieved a top 500 overall ranking in only one country – Fiji, an island in the middle of nowhere. This means that in all other countries, the App cannot even reach top 500 for once. There’s very little engagement in the app now. There are some frequent posters but no one responded to any of the feeds – what is the value of a social network if there is zero interaction in it? To me, investFeed looks too much like Twitter, which is THE platform where many players in the crypto world interact. I don’t really see the reason to use investFeed over Twitter. However many users investFeed has now, they are going to be alienated when investFeed pivots to cryptocurrency. In business, it is much easier to find more ways to cater to the existing customers rather than to find new customers. According to Crunchbase, investFeed received funding of $250,000 in 3 rounds. It looks to me that the ICO is a desperate attempt to keep the company afloat by completely shifting the company’s focus and tapping into ICO money. The functionalities that the white paper proposes are similar to some of the things that other projects do (Santiment, CoinDash). Not good because of the low awareness of the ICO. It is very strange to have a tiny community for an ICO that has a working product. This speaks to the marketing and execution ability of the team. I don’t think the low hard cap compensates for this. Neutral because I’m not sure how committed or knowledgeable the team is to cryptocurrency. investFeed has been focusing on stocks for over 2 years and the sudden pivot to cryptocurrency is strange to me. The company is completely changing their business model and that is usually not a good thing.